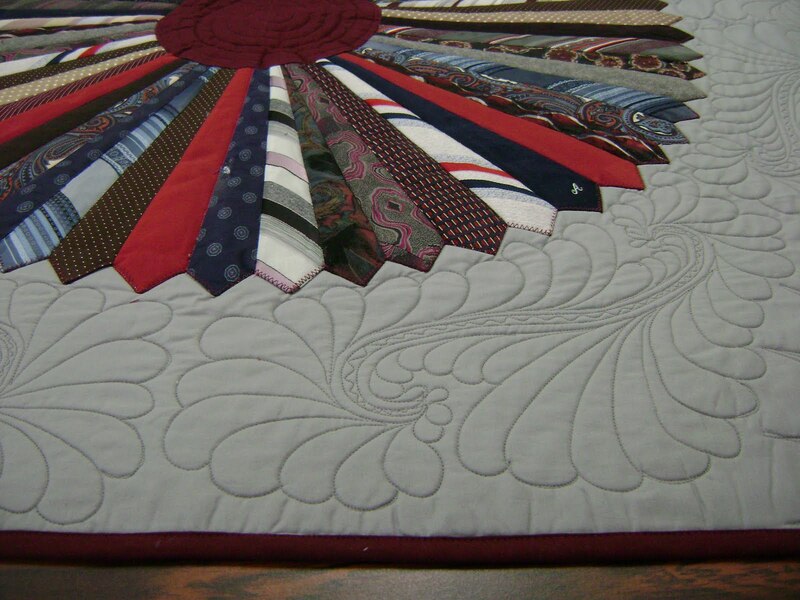 Yesterday, I finished the 3 necktie quilts . 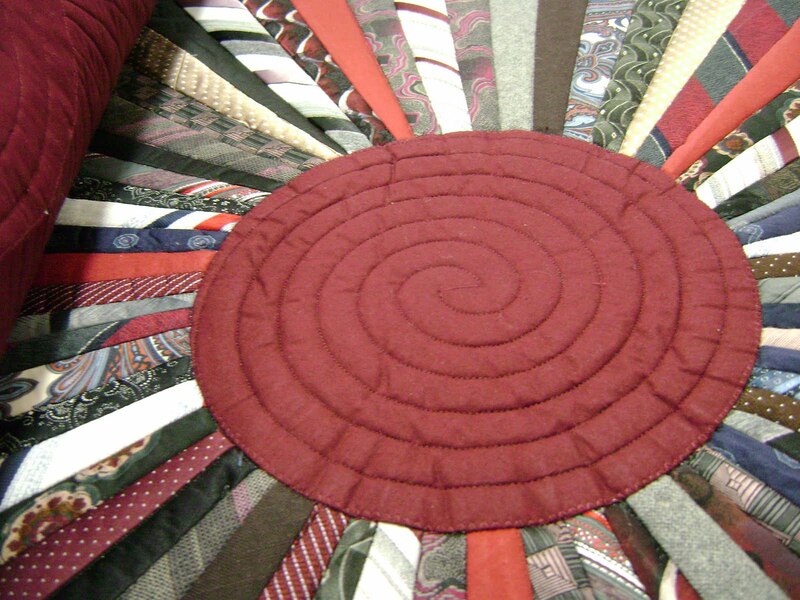 There were only 20 ties to make three quilts. The customer has picked them up already. She was very pleased with how they turned out. Two were this color. One was this color. All three were quilted with the same freehand designs. The center of the medallion got simple circles. I like this feather design. It travels around the center spine. I did mark straight lines for the corner designs. This is to mimic the straight lines of the center. Today will be a casual Thanksgiving late lunch with my daughter and grand daughter then a relaxing afternoon of ….. ? I haven’t decided yet. I’ll call my son’s later this evening to see how their day went. They will be spending Thanksgiving with their in laws. Since they live a good distance from me, it would be too difficult for my sons to get here for a visit after their meal. I have so many blessings. Too numerous to count. Today will be filled with thoughts of many, many people. Some near, some far away. Some relatives, some friends. Some have passed on, some are still here. 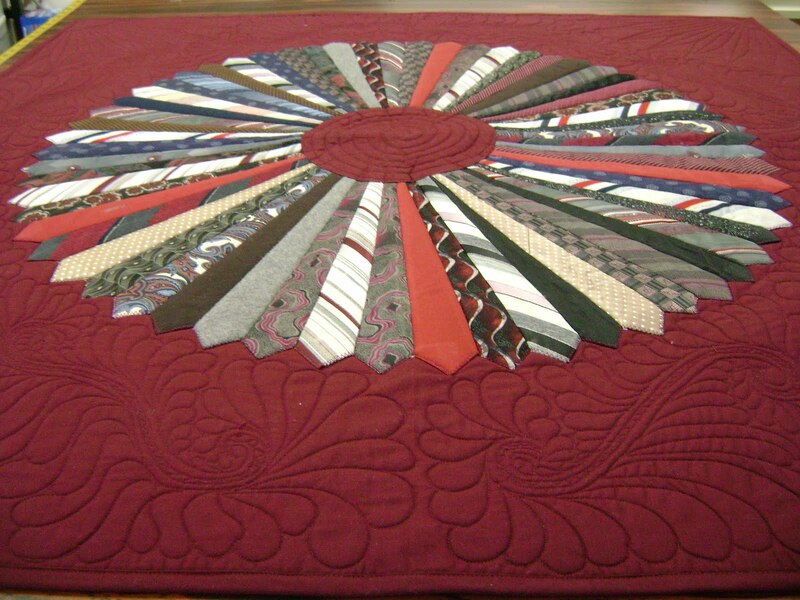 Beautiful quilt, I wish I had saved my hubby's old ties. Your quilting is beautiful. I am shopping for a long arm. Any advice? What kind of machine do you have? 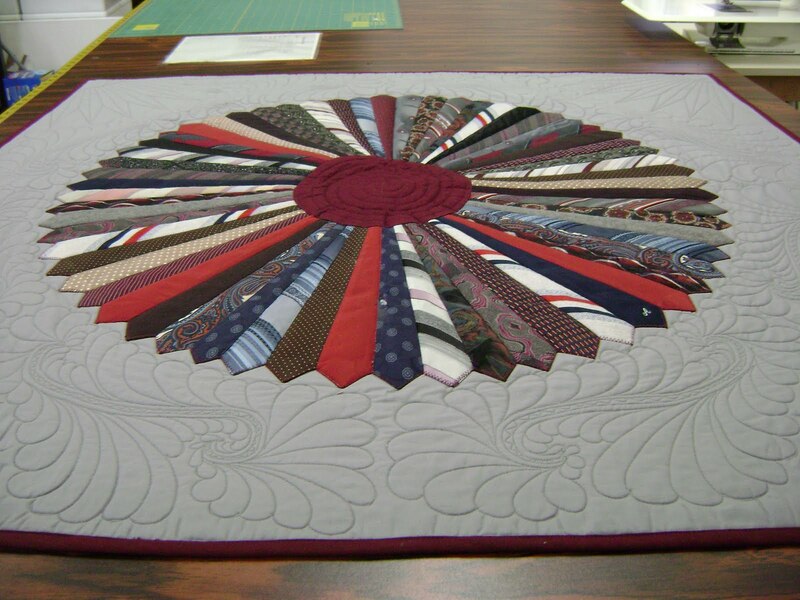 Way cool quilt it makes me wish I had saved all my hubby's old ties. You do great work. I am shopping for a long arm. What kind of machine do you use. Any advise. Thank you Theresa. Websurfing is fine. Searching for eye candy can be fun and inspiring. Thank you too Sandy. I'm grateful to have all my internet friends. I love the feathers and I love how you did the corners of the tie quilts! I spent about 6 hours cooking and cleaning up today and I had help, but I'm still too worn out to do much except websurf. 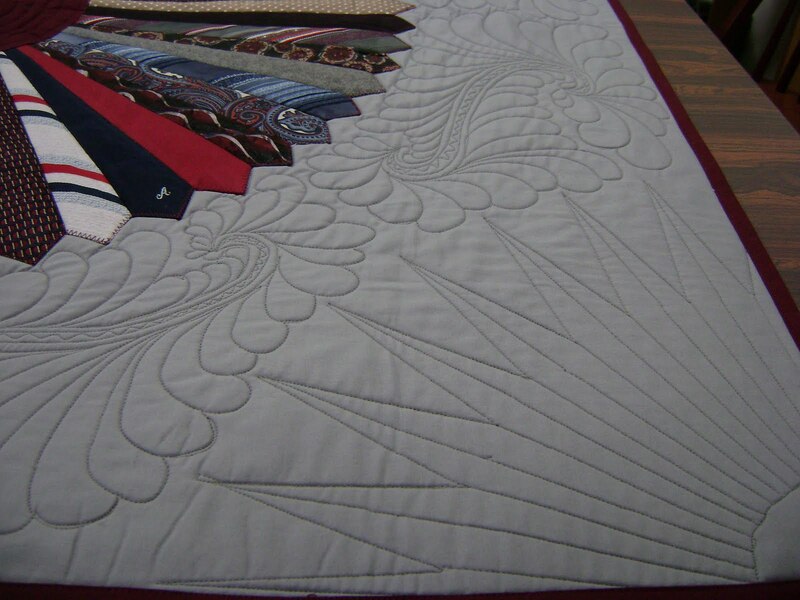 This entry was posted on November 25, 2009 by Anita in Memory quilts 2009, QUILTS - CLOTHING AND T-SHIRTS and tagged Clothing quilt, Custom machine quilting, Custom quilting, Longarm quilting, Machine quilting, Necktie quilt, Quilter for hire.